MegaFit is a Licensed Lagree Fitness studio utilizing the Lagree Fitness method and our trainers are Lagree certified. The Lagree Fitness method is a new form of exercise and movements, incorporating the benefits of Pilates and the effectiveness of high intensity training. It combines, strength, cardio, endurance, and flexibility into one 40-50 minute full body workout. The workout has a series of different movements performed on the revolutionary Megaformer, which helps to target and use every muscle in the body. This method simply put is the most innovative and aggressive approach to full body conditioning. Lagree Fitness method at MegaFit integrates key elements of resistance and counter resistance in a sequence that allow for maximum exertion at minimal risk for injury. MegaFit uses the Megaformer to target muscles to work them until failure, while using accessory muscle to stabilize and facilitate the movement making incorporate the entire body. Working a muscle to failure maximizes growth and results, and allows for the body to work to its full potential. Each exercise also targets the slow twitch muscle fibers, with slow controlled continuous tension provided by the Megaformer exercises. This technical approach to exercise will maintain an aerobic response to keep calories burning for days after a MegaFit workout and maximize results with minimal time. MegaFit workouts are made to be efficient and work muscles in a revolutionary new way, and to get maximum results muscles need to be worked at their full potential every workout. We encourage you to come to class at 100% and let your muscles rest and recovery between classes. Each class will work your muscles to fatigue and the time in between classes your muscles will burn calories recovering! Take the time to recover between classes to be able to gain strength and maximize results in each class. Pilates is a practice geared towards rehabilitation incorporating elements of balance, flexibility, core strength and form. This practice of functional movement at low intensity, and the key principles of core stability blended with fusion of muscle dynamics are the basis for Lagree Fitness method used at MegaFit. 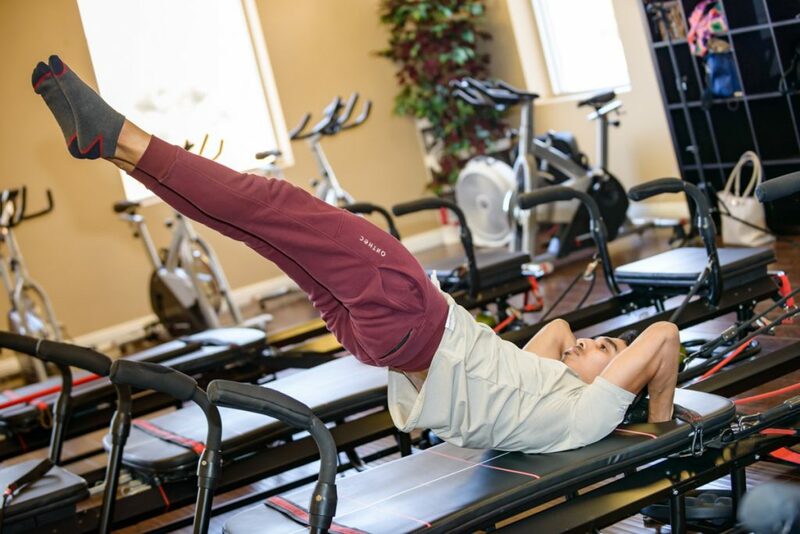 Lagree Fitness method’s essential movements incorporates the integral pieces of Pilates focusing on form and function and applies it to a higher level of exercise. MegaFit combines the practice of Pilates with the addition of strength training, and cardio making for a fully functional all in one routine to benefit the body and provide maximum results. 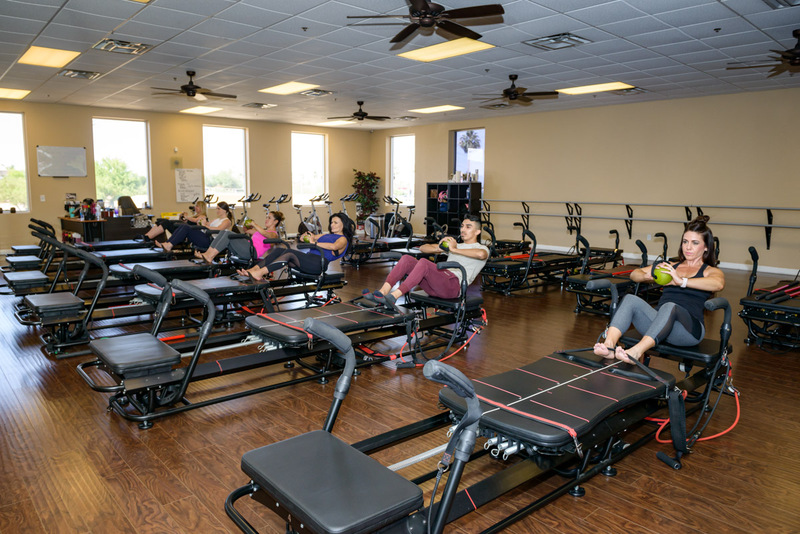 Developed by Sebastian Lagree and based on the Pilates Reformer, the Megaformer is a patented revolutionary piece of equipment, used in every movement at MegaFit. It allows for movements to target every muscle and work the entire body in a completely different way than any other form of exercise. Its compound pivot bar allows you to do full R.O.M. without adding any excessive stress on the joints and on the spine. The Megaformer was built for group classes which means that all its adjustments are easy and friendly. The Megaformer offers many exercises, allows for quick transitions (to keep the heart rate up), and is easy to use. At MegaFit, you will work your body in a completely new way leading to faster results. We will not only build and maintain long lean muscle but will also increase flexibility and balance. Additionally, it will help to stabilize and decrease back problems by tightening and toning your core with many ab engaging exercises. It will strengthen your body from head to toe in a short amount of time yielding results and benefits for up to days after the class.